Sunday is supposed to be the Lord’s day of rest. Even as an atheist I like to maintain that. A nice lie-in, a game of bingo with my Granda at the social club and a lush Sunday dinner is my holy trinity. If anything is going to make me break from tradition and even think about leaving NE28, it’s a good all-dayer of the best emerging local music talents. On Sunday 3rd June, Darlington’s premier DIY music festival, Music Box, returns with a line-up that features such well-known names as lo-fi punk duo Mouses, the seemingly ubiquitous popsters Cape Cub and alt. hip-hoppers Ceiling Demons, among many other renowned and up and coming performers. Across the day there are six stages and 35 acts performing. Mouses headline the Jukebox Stage at Avalon, with sets from gritty and pretty post-punk outfit Dead Naked Hippies, the Mac De Marco-inspired Lhymes and indie rock trio Swine Tax, plus Twist Helix, The Moonlight Crusade, Sonder Minds and Metis. Avalon also hosts the DI Box Stage where electro pop duo Moodbay, guitar driven synth-poppers There There and DnB DJ Alternate Perspective play. Jennifer Walton, Bad Funk and Give Me Sleep round off the line-up. Just along the road from Avalon, Hash Bar boasts an acoustic set from Cape Cub alongside Ani Sandwith and People Poems for the Roofbox Stage. Additionally, vocal harmony duo Komparrison, chamber folkist J.P. Riggall and four-piece Gram Baker will also be treating Hash Bar to their respectively diverse sounds. 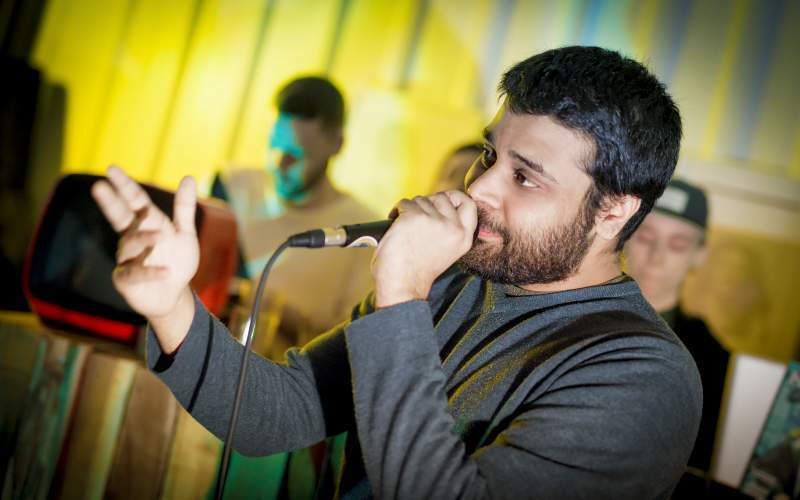 Hash Bar will also house the hip-hop packed Beatbox Stage headlined by Darlington’s own Endem. Also bringing bars to the Beatbox bill is supposed retiree Rex Regis, veteran lyricist Leddie MC and Sunderland rap artist 90BRO, alongside Teesside spitter Shakk. Over at the Soapbox Stage at Hole In The Wall the aforementioned Ceiling Demons will play alongside The Yada Yada Yadas, The Circus Villains, SWEARS and indie four-piece Dolphin Centre. Blackwellgate’s Outbox Stage will harbour Eleanor Grace Hemingway, Arctic Monkeys-inspired Zack Hammond and the jazz/blues/soul collaboration Les DeVilles. Solo singer-songwriters Joe Treacy and Michael Hirst are also on the Outbox bill.